Despite the crazy weather in Melbourne at the moment, summer is just around the corner for the rest of us! In Australia, when you think of summer, you instantly picture the beach, which of course means sunscreen! As kids, we were always taught slip slop slap - something that has stuck with us 80's and 90's kids for the rest of our lives, I'm sure - and so what better way to "slop" than to start embracing the new SPF50 rating finally released in Australia! Neutrogena has released their Beach Defence Water + Sun Barrier Spray & Lotion; with a high SPF50 for extra protection! I love the bright yellow packaging, as it's perfect for summer and easy to spot, so no excuses for leaving the sunscreen at home this summer! The Beach Defence comes in a spray and a lotion. I personally prefer the spray, as it's a lot more fun than using lotion and it's also far lighter on my skin. A lot of sunscreens tend to break me out, especially when used on my face, but the Neutrogena Beach Defence was absolutely fine, and didn't even make my skin oily! I found that the lotion was also far nicer than other sunscreens I'd used in the past, and much like the spray, didn't break me out or feel heavy or oily on the skin. The great thing about this sunscreen is that it's 4 hours water resistant, so that keeps you protected for a good amount of time! Neutorgena claims that it's fast absorbing also, which is right on the money! And can I talk about the scent for a second? Oh my dear, the scent! This stuff smells like heaven, honestly I would just use the lotion for an actual nice smelling lotion rather than needing sunscreen. It's heaven! My friends and I did a day trip to Hanging Rock a few weeks back (for those of you who aren't familiar, read this article!) for a hiking trip, and the sun was definitely out in full force. 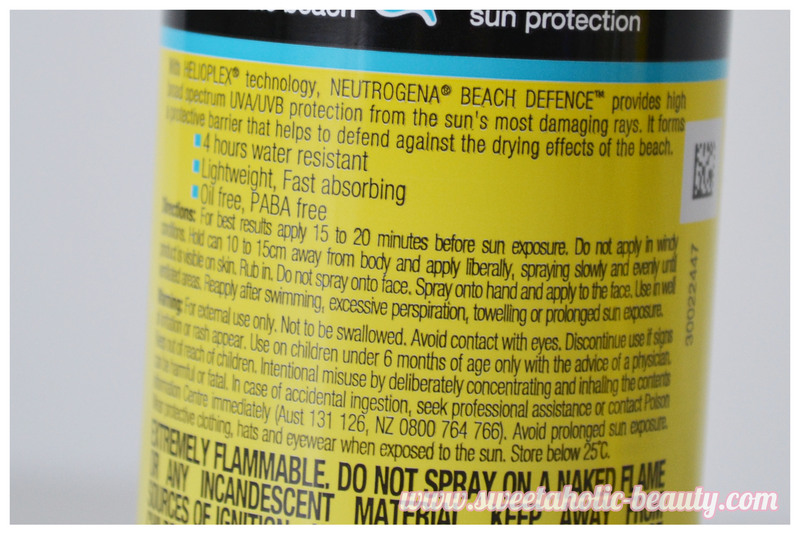 So, I decided it would be the perfect time to put the Neutrogena Beach Defence to the test. Even though we weren't swimming, we were definitely sweating enough for it to count! I applied the spray all over me before the hike, and when I got home and showered, the only part of me that was sunburnt was the very top of my head where my hair parts, because I was a naughty girl and didn't wear a hat, and forgot to apply sunscreen! And let me tell you, I was pretty darn burnt, and yet the rest of my skin felt perfectly normal! 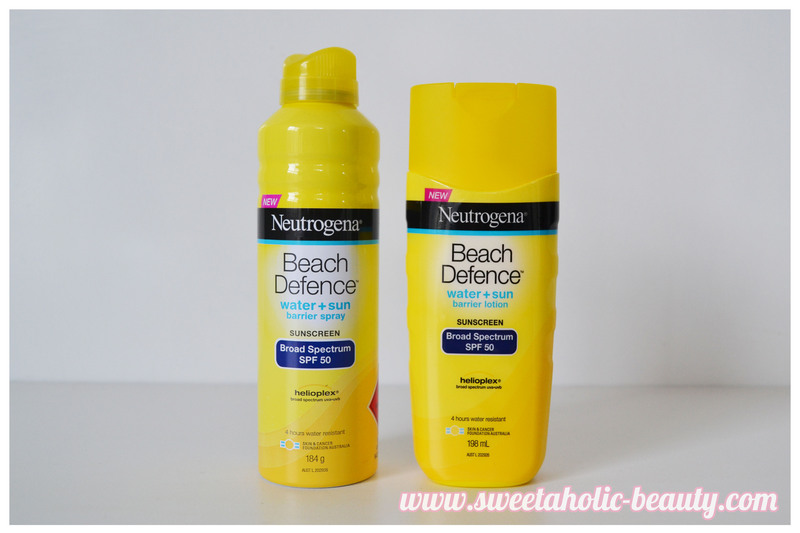 I was really impressed with how well the Neutrogena Beach Defence covered me. I did have to reapply after the four hours, but that's the same with any sunscreen and something you should do regardless of what the sunscreen claims! Having a spray can also made it easier to reapply, especially mid-hiking trip! My friends were also pretty wowed by the smell too! Overall, I will definitely be using these babies again! It protected me, it smelt great, and it didn't break me out, so it wins all around! 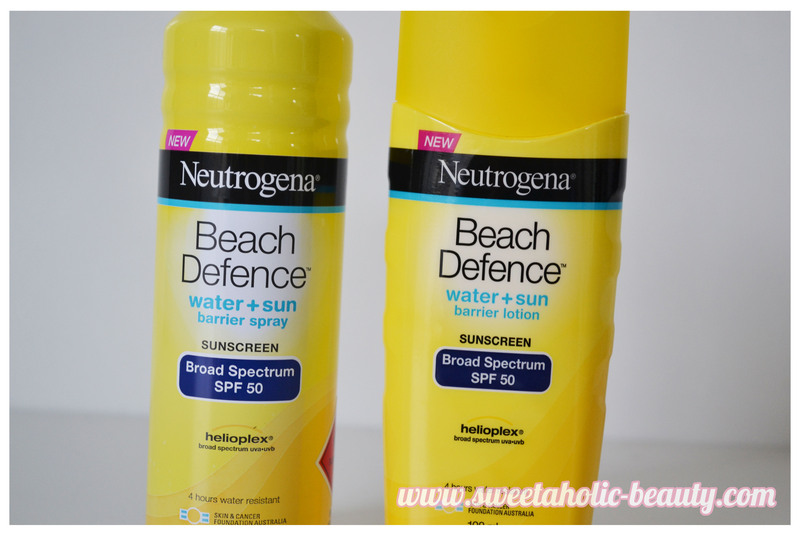 Have you tried the Neutrogena Beach Defence Water + Sun Barrier Spray or Lotion yet? If so, what did you think? These products kindly provided for consideration. I love sunscreen in spray bottles too! They do tend to be lighter and easier to apply. Plus, no sticky or greasy feeling! I'm currently using the Nivea UN Protect & Refresh Invisible Cooling Mist. It also has SPF50 and it's so light and it absorbs quickly!